this post contains affiliate links; when you purchase we receive a small commission at no cost to you! 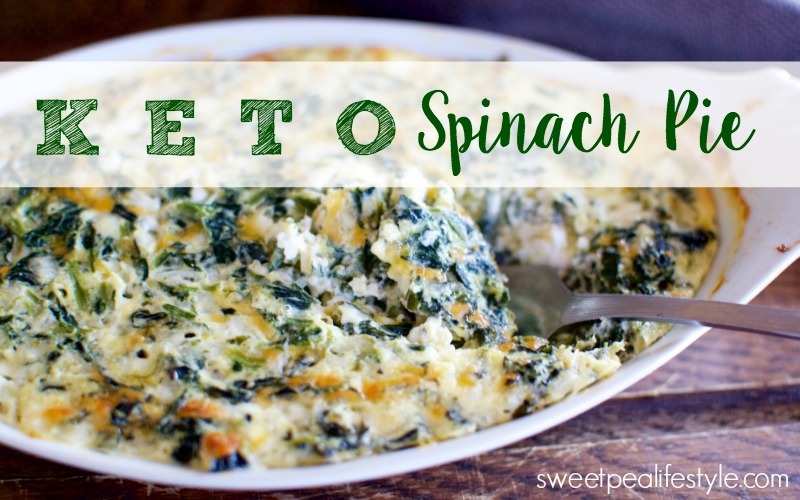 Spinach pie was a staple in our home growing up. 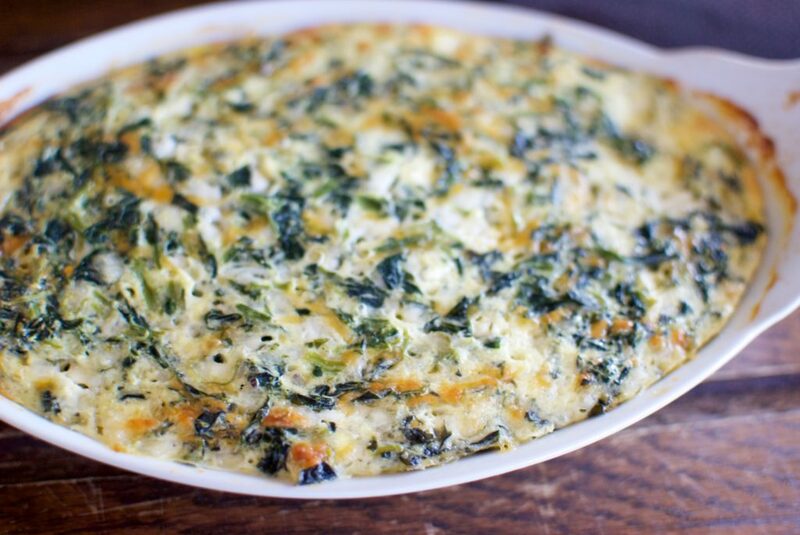 It’s how our mom got us to eat spinach — and we LOVED it. What’s not to love about cheese on cheese with spinach?! Does you family have recipe that even when you are grown adults you request your mom to make??! For my family that’s tuna noodle casserole, cheese and pasta in a pot, pimento macaroni and cheese, and spinach pie. And, this recipe is super, super easy! I mean, it’s not even really a recipe. I have no idea where my mom got the recipe (there has to be one, she doesn’t not use recipes! ), but it was ‘on the regular’ in my house growing up. Now that we are adults, we still request this! I remember my mom taking this over and over to people who had moved, had a baby, someone died, etc. This is her go to dish! Depending on your family, you can adjust the recipe. My older brother begs for more cheese. I beg for more spinach. I don’t like eggs — so, I use as few as possible! Squeeze water from thawed chopped spinach. 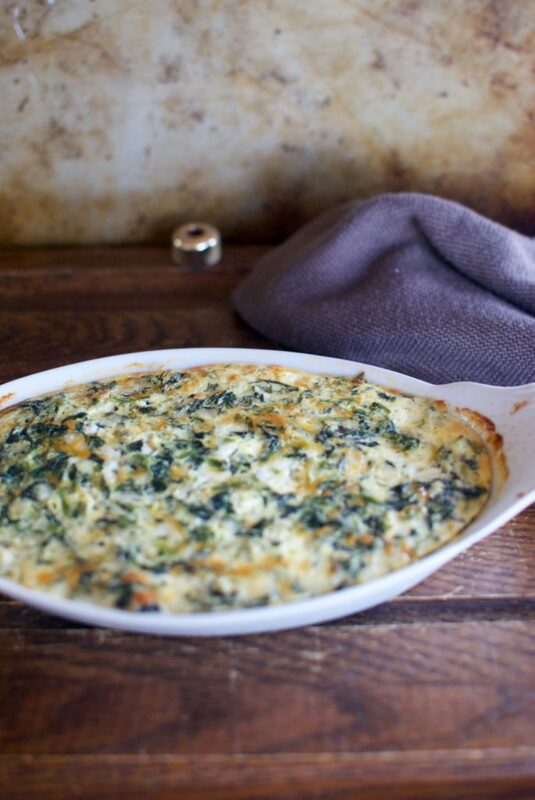 In large mixing bowl, combine spinach, cottage cheese, cheddar cheese, eggs, and salt & pepper. Pour into baking dish (8x8 works well!) and bake 30 minutes at 375˚, or until set in the center and golden brown on top. What recipes do you request as adults?! I would love to hear in the comments below! 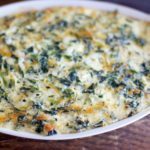 Save this recipe to your favorite Low Carb/Keto board on Pinterest! Struggling with gathering your people around the the table??! Need a resource with all the entertaining tips and tricks YOU need to host an unforgettable gathering around your table, creating memories that will last a lifetime?! It’s here! 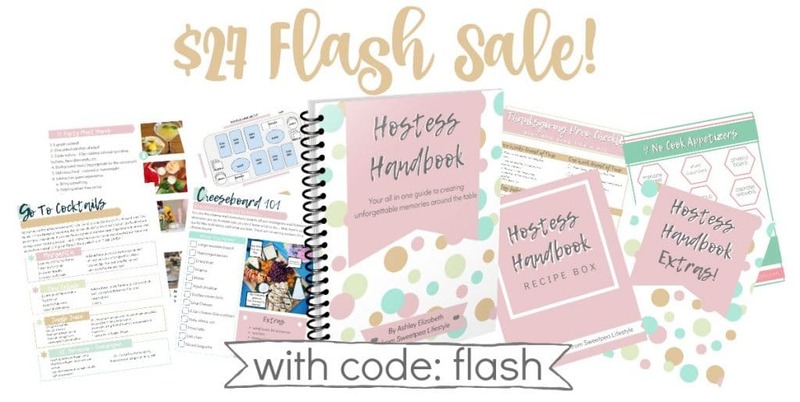 —-> The Hostess Handbook talks you through hosting every kind of party, includes dozens of tested and loved recipes, and plenty of extras you need to give you the JOY of hospitality! I have never had a spinach pie, but I think I would love it. Your recipe looks so good! Stopping by from the #HomeMattersParty linky. Do you know what the carb count would be in 1 serving? Do you know how much fresh spinach I could use instead? You would need a probably 20 ounces, cooked. Fresh spinach cooks down to 1/10th of it’s size. So, if you bought four of the big tubs from the produce section, that should cover it.